After the LED Neon Flex Single color Tube is cut, it is no longer waterproof. Use this end cap in combination with silicone glue (Sold separately, please see "Related Products") to seal the LED Neon Flex after cutting it. 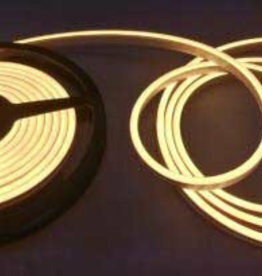 LED Neon Flex tube in color warm white 3000K. This flexible LED Neon tube is a great product for creating curved LED Lines. Extremely flexible and easy to install. 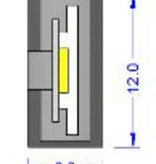 This mounting bracket can be used in combination with LED Neon Flex Single color. Screw not included. LED Neon Flex tube in color white 6000K. 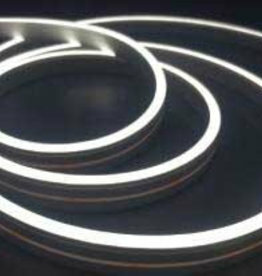 This flexible LED Neon tube is a great product for creating curved LED Lines. Extremely flexible and easy to install.